I found myself eating alone this week again. But, this time I chided myself enough to not resort to drive-thru, horrendous, unhealthy, fast food. I vowed to challenge myself to make meals for one (or one with some leftovers). So far, I have made some great baked sweet potatoes that I made into a meal (butter sauce to be posted later). And, for some reason, I always crave Asian food when The Hubs is gone. No driving through Panda for me this week. I would make my own. 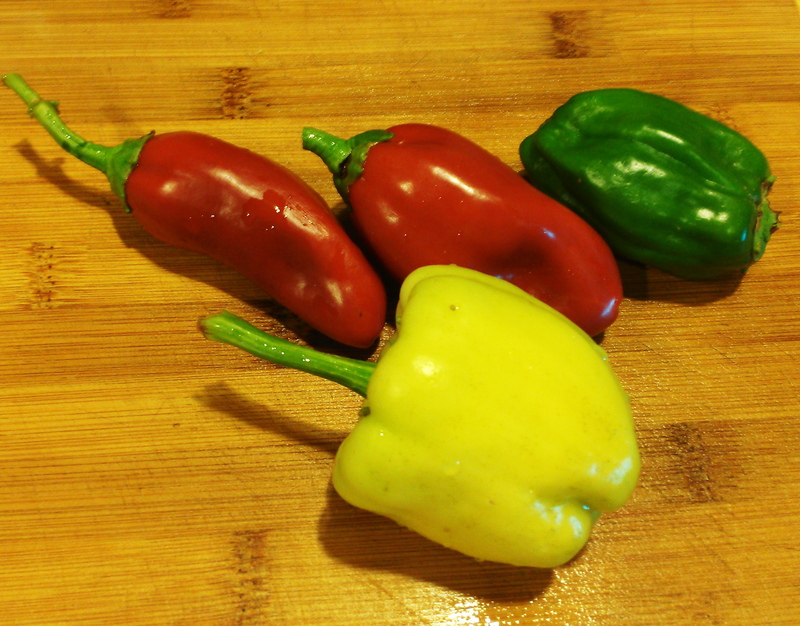 I also found some beautiful peppers in the garden. Place olive oil in a small skillet and heat on high heat. 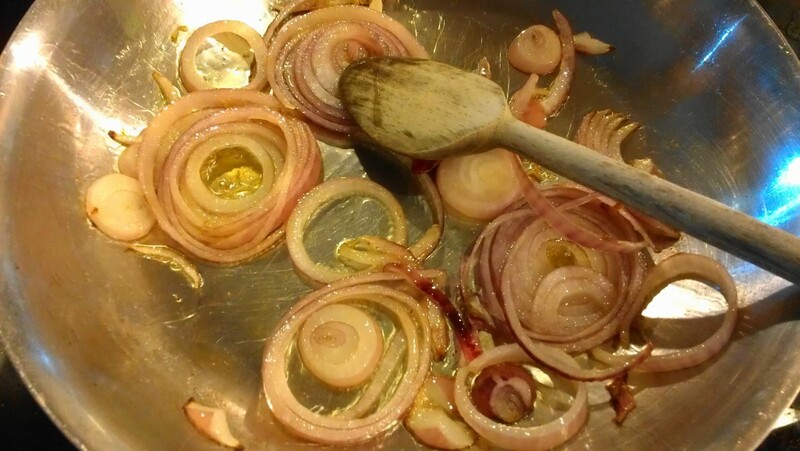 Add onions and sauté about 3 minutes. 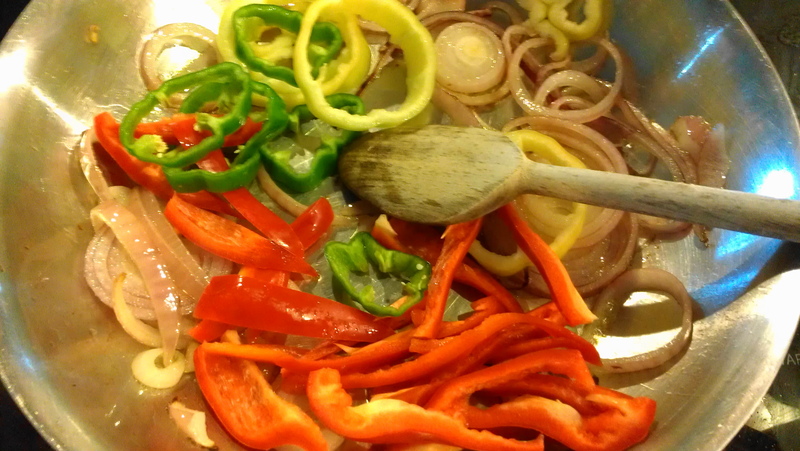 Add peppers and sauté another 3-5 minutes or until soft. Place water in a large sauce pan for cooking noodles. When water boils, add somen noodles and cook for three minutes. Drain and rinse. Place the remaining ingredients in a blender and blend until incorporated. Set aside. In a large serving boil, toss noodles, peppers and onions, and peanut sauce. Toss and serve. I can’t wait to eat the leftovers cold. Mmmmmmmmm……….. Looks wonderful! I love cold noodles too! I’ve never used somen noodles before. I may have to get some. It looks very tasty! I want some peanut sauce! This looks DElicious! I’m with you – I love these types of dishes cold! Have a great weekend! I’ll eat the cold leftovers!!! Seriously good cold. Had the leftovers for lunch yesterday. 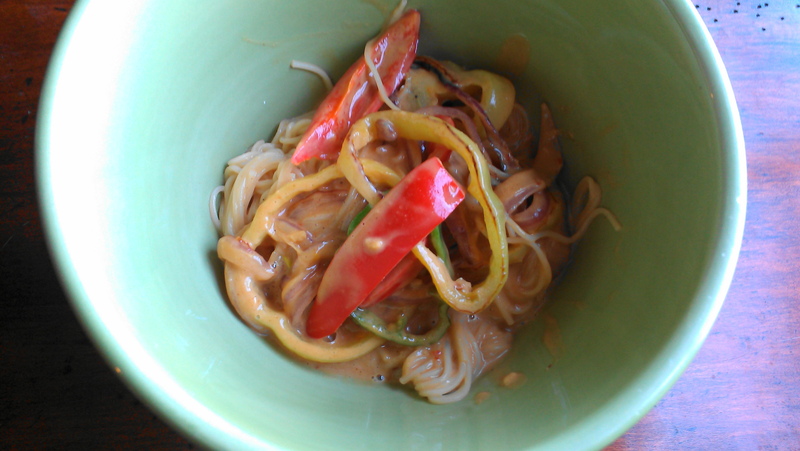 Wow, I love peanut sauce–I want to marry it! When you look forward to leftovers it has to be good! Still have peppers that we have covered. Hope they survive this weekend.